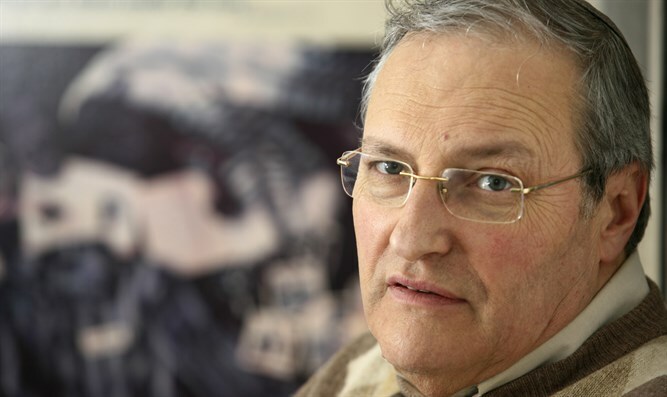 Nazi hunter Dr. Efraim Zuroff on Friday slammed Israeli Prime Minister Binyamin Netanyahu's praise for Lithuania. "Sickening/Disgusting, that's my response to Bibi's praise for Lithuania's 'great steps to commemorate the victims of the Holocaust, to speak openly about this terrible crime'" Zuroff wrote on Facebook. "Lithuania is the country which glorifies anti-Soviet fighters who helped murder Jews during the Shoa (Holocaust - ed. ), such as Noreika and Ramanauskas, refuses to acknowledge the massive scope of Lithuanian participation in the murders, and is doing everything it can to undermine the uniqueness of the Holocaust, by promoting the canard of equivalency between Nazi and Communist crimes. "Total moral failure by the person who is supposed to lead the defense of the Jewish narrative of the Holocaust. He obviously has learned nothing from the fiasco of the Polish Holocaust bill!!" On Thursday evening, Netanyahu met Lithuanian Prime Minister Saulius Skvernelis at his office in Vilnius. "Vilnius was known as the 'Jerusalem of Lita (Lithuania),'" Netanyahu said. "But as you know there was also a dark chapter. The Jews of Lithuania were almost entirely wiped out in the Holocaust by the Nazis and their collaborators." Praising Skvernelis, he continued, "Mr. Prime Minister you have taken great steps to commemorate the victims of the Holocaust, to speak openly about this horrible crime that must never be repeated and I want to thank you for your commitment to fighting antisemitism wherever it rears its ugly head." Netanyahu is the first Israeli prime minister to visit Lithuania. He is expected to return to Israel on Sunday.